I never really felt a huge urge to read Kelley’s Oprah biography, but I needed an audiobook for my drive to work and this was sitting on the shelf. Kelley narrated the audiobook herself which was nice, except when she repeatedly mispronounced names and words. But that’s neither here nor there… Right? Sure. For those who might not know, this is an unauthorized biography, meaning Oprah in no way participated or contributed to Kelley’s research. All the “direct quotes” Kelley included from Oprah were pulled from articles or directly from her shows. 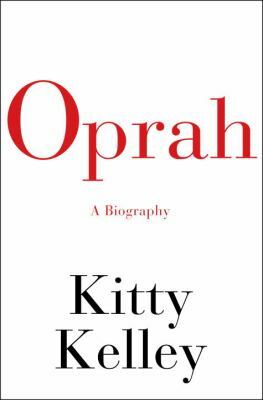 While I did learn a lot of interesting information about Oprah’s past and how she attained her uber-celebrity status, it felt like Kitty Kelley was trying entirely too hard to portray Oprah in a negative light. I’ll admit that I love Oprah and would undoubtedly cry if I ever got the chance to meet her, so the constant harping on her was hard to listen to over and over. Obviously, I know some of those negative things are true but I also understand they don’t comprise the whole of the woman. A lot of time was spent talking about Oprah’s hyper-sexual youth, her “relationship” with Steadman, her “relationship” with Gayle, and her constant drive to be a star. If there’s one thing you take from the book it’s that Oprah is an ambitious woman and she will work to make her dreams a reality. I didn’t really enjoy the book, but I’m glad I read it so I could see what all the fuss was about. The Magician’s Nephew, more than any of the other Narnia stories, highlights the question of reading order. Originally published as the sixth book in the series, newer editions place it at the beginning. Each ordering has its proponents, but I prefer the former. This installment tells the story of the creation of Narnia through the experience of Digory and Polly, two children in Edwardian London. Digory, we quickly learn, is none other than Professor Kirke, the old gentleman whose magic wardrobe will later transport the Pevensies back and forth between our world and Narnia. Digory and Polly find themselves traveling through different worlds by the cruel experiments of Digory’s Uncle Andrew, an amateur magician. They eventually find themselves in an empty world where the great lion Aslan sings Narnia into existence. The origin of the magical wardrobe, along with many other familiar elements of the preceding stories, is revealed as this adventure unfolds. Chronologically speaking, it makes good sense to begin the series with The Magician’s Nephew. Along with the creation of Narnia, we also see the entrance of evil into that world; the very evil which sets in motion the struggles and exploits that provide the action of the other stories. However, I prefer to read the series in the original publication order, and I find The Magician’s Nephew to be most enjoyable within that ordering. Lewis seems to relish showing you how some of Narnia’s unique features (the lamp post in the woods, talking animals, etc.) came to be, and the humor of the book assumes a certain familiarity of the reader with this world. 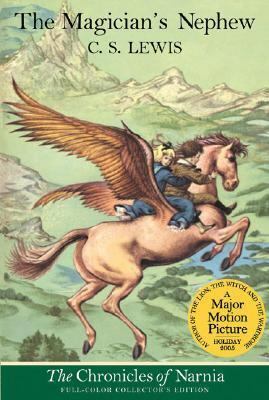 For the first time reader of the Chronicles, I would certainly recommend starting with The Lion, The Witch, and the Wardrobe and moving through Narnia in the order that Lewis imagined it. This way, you can be in on the joke. The Best of Me is a story about two people who fell in love during high school but went separate ways the summer of their senior year. Amanda was from a well-to-do family and Dawson was from a not-so-good family. Twenty-five years later they are brought back together to attend a funeral for Tuck Hostetler, a mentor to both Dawson and Amanda. Dawson and Amanda’s lives have not turned out how they imagined. During the course of a single weekend they are forced to confront painful memories and will come to terms with the choices they have made. I have read several other books by Nicholas Sparks and I have to say I didn’t care for this one. Even though the author usually includes different twists in his stories and a way of sometimes surprising you in the end, The Best of Me still didn’t quite grab me as the other books did. Part of it had to do with the fact that Amanda, who had gone on to marry, was experiencing many thoughts and emotions again for Dawson as their weekend unfolded. I experienced her struggle as I was reading. Being married I didn’t appreciate how Amanda let her emotions start to get the better of her. Dawson had never married after he and Amanda had separated but his love for her continued. I also didn’t care for the unsavory characters in the story who were relatives of Dawson. They were pretty awful! In the end I was pleased with some of Amanda’s decisions toward the end of the book. 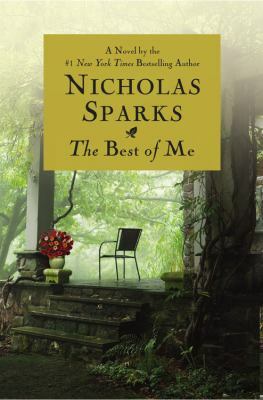 The Best of Me left me thinking that I might be a little choosier the next time a Nicholas Sparks book comes out. This inspiring self-help title is different than some, in that it combines a psychoanalytic viewpoint with Christian principles. 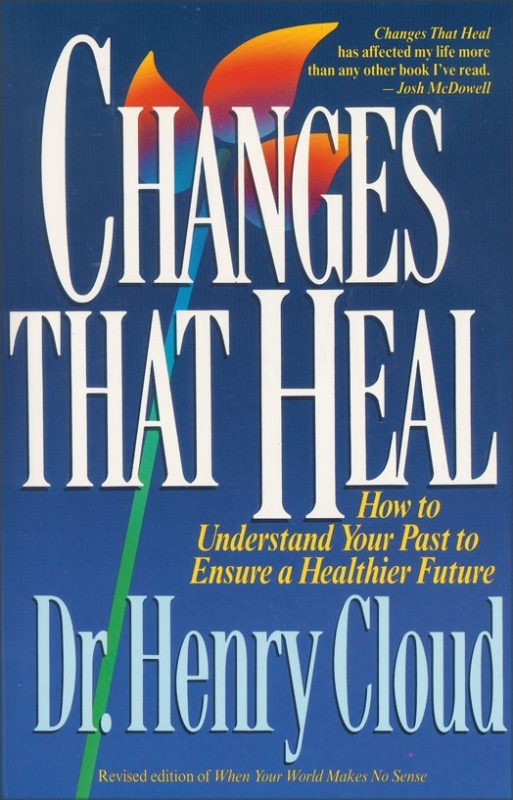 Interspersed with the real life stories of some of Dr. Cloud’s patients, this book focuses on making healthy shifts in your frame of mind. The author’s goal is to have the reader connect more deeply with others, develop healthy independence, understand the good and bad in themselves and others, and to grow emotionally and spiritually to feel fully like an adult. Cloud says it takes grace, truth, and time for these things to happen. While the book was a little slow moving at some points, overall it was highly readable, and extremely relatable. I have definitely used Cloud’s shifts in my everyday life since reading the book. It would be a good addition to a spiritual or self-help section of a collection. Cracking a crime resonating with bone-chilling echoes of an ancient Chinese legend, Rizzoli and Isles must outwit an unseen enemy with centuries of cunning— and a swift, avenging blade. I loved reading this book. It is a story that will keep you very entertained. It’s full of suspense and action. It keeps you wondering what is going to happen next and you just can’t put it down until you find out. You’re left wondering how it’s going to end until you get to the final chapters, and believe me they are page turners! I enjoy reading books by Tess Gerritsen. She writes great mystery novels. And, I love the Rizzoli and Isles TV series that is based off of her books. 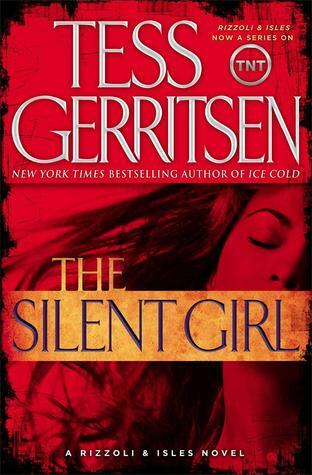 The Silent Girl is beautifully written, engrossing, fast-paced, and suspenseful. If you want to read a great mystery novel, I highly recommend this one. I also recommend that you check out the TV series. It comes on TNT. 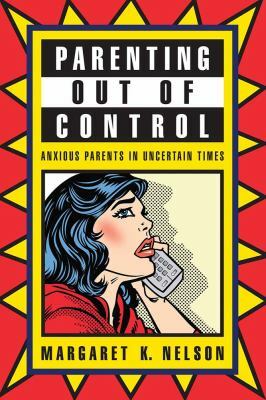 In spite of its title, Nelson’s book is actually about all types of parenting styles. Nelson, a sociology professor at Middlebury College, paints a social landscape of modern day parenting in America. She analyzes the choices parents make and possible reasons and explanations. I was fascinated by the vast data, interviews, personal stories and author’s interpretations. Nelson offers timely coverage about parental intervention on the hard-to-balance usage of cell phones, iPods and tech toys. I can just picture the constant negotiations between parents and children getting hotter day by day. Parents are also adapting new technologies to help with raising children. A not so new device many parents are interested in is a GPS tracking/speed device. It does not prevent behavior, but gathers information that can be used for disciplinary decisions later. Some parents express concern about invading the privacy of their children while others are using it to coach and teach their young drivers to drive more safely. According to the author, the insurance industry now promotes GPS tracking in cars as a way of keeping children safe. The book is informative and entertaining at times. Nelson termed extreme parenting as “Parenting out of control.” These parents are also called helicopter parents or hovercrafts. Recommended for parents and anyone who’s interested in where we are headed as a society. Children are our future, you know. The Architecture of Happiness is one part philosophy, one part architectural history, and one part personal nostalgia. Through a learned view of different major architectural monuments of the past, and the retelling of individual personal stories of residency, this book examines the way in which architecture defines our identities. The author refutes the idea that to engage in meaningful relationships with our things, and homes, is frivolous; and states that our dwellings are a reflection of who we are, or who we want to be. 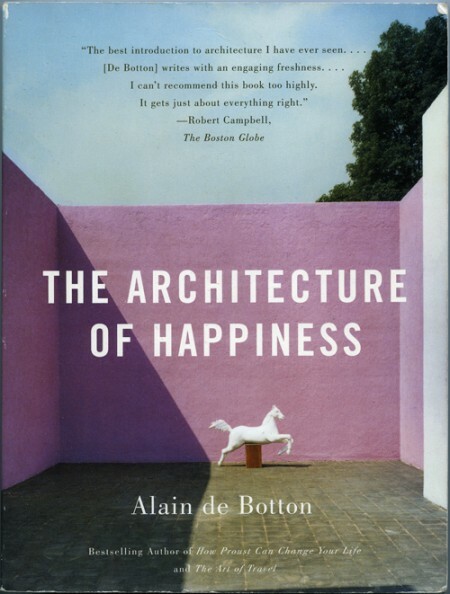 Identity, Botton says, is the most profound purpose of architecture. Peppered with beautiful quotations on the self and architecture from a plethora of scholarly and culturally diverse sources, this book is a true gem; one that I would surely place on a shelf in my home… a small expression of my own version of beauty.